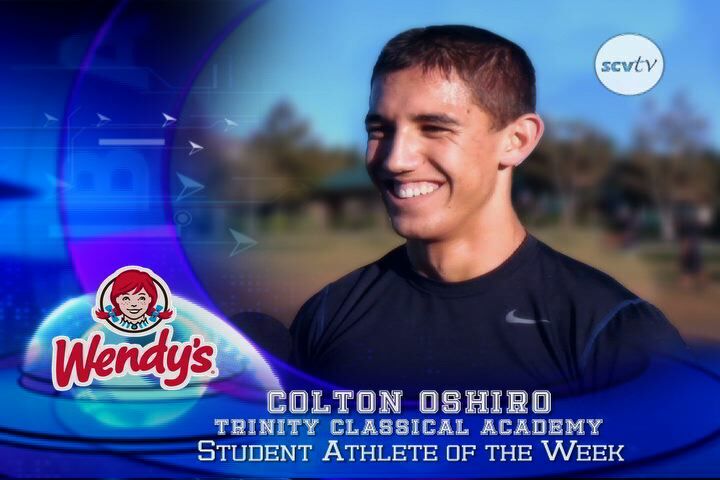 This week’s Student Athlete of the Week, presented by SCVTV & Wendy’s of Santa Clarita, is Colton Oshiro of Trinity Classical Academy. How about you say something nice about Valencia high school? Like the kid from last night crushed it in the game. Great Student, great athlete, great person. Whoot whoot!! Love that kid!